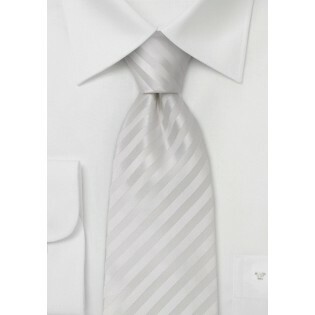 This formal and elegant white silk tie will be the perfect alternative to a solid black necktie or even bow tie. 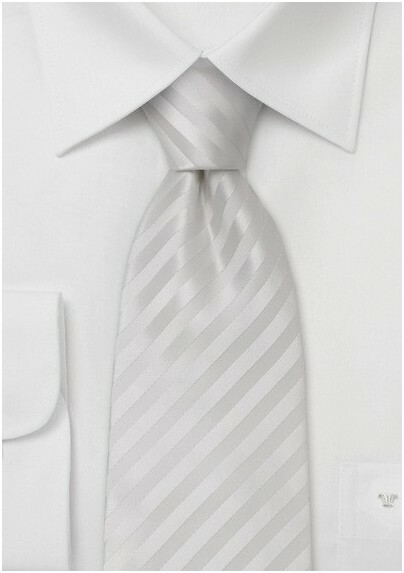 The subtle striped design adds a unique touch to this otherwise simple white tie. To match this tie we suggest a solid white shirt and charcoal or black suit. Looking for an outfit that is a bit more trendy? Then how about pairing this tie to a monochromatic black suit and black shirt ensemble. Handmade from 100% silk.